Today we introduce "True Upsells", a BIG improvement to the Bold Product Upsell app. 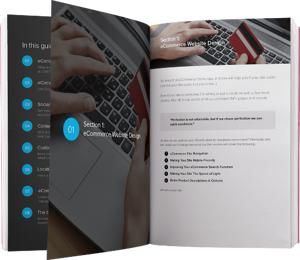 Now you can offer customers two very different, but both very powerful, types of offers. A True Upsell offer is an "upgrade and replace" offer , and a Cross-sell offer is an "add an additional product" offer. 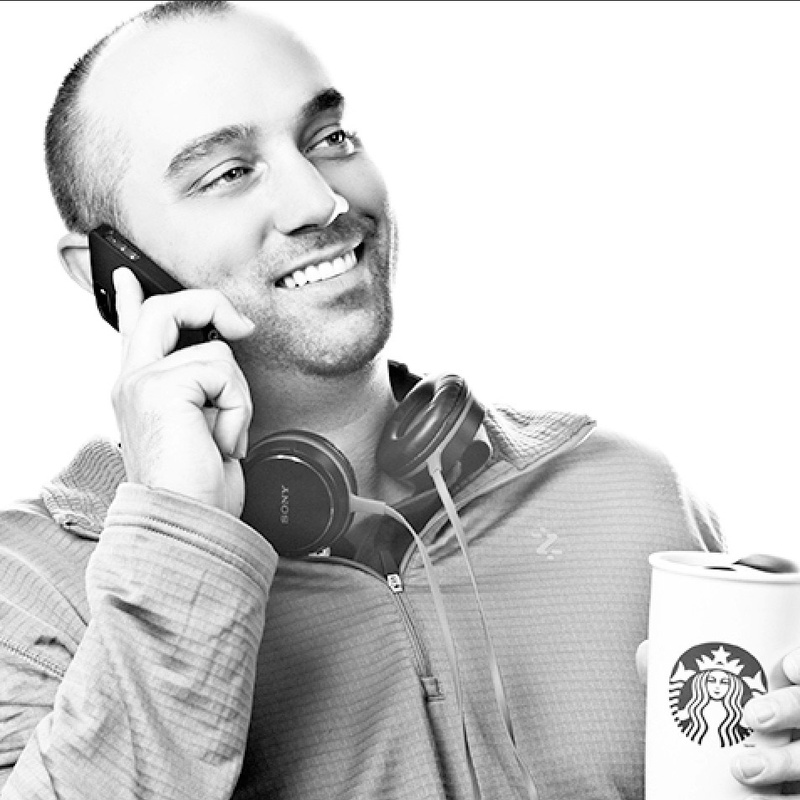 They're both powerful selling tools, and now you can do both, with the Bold Upsell app! You can now do Upsells, Cross-sells, or even both at the same time! 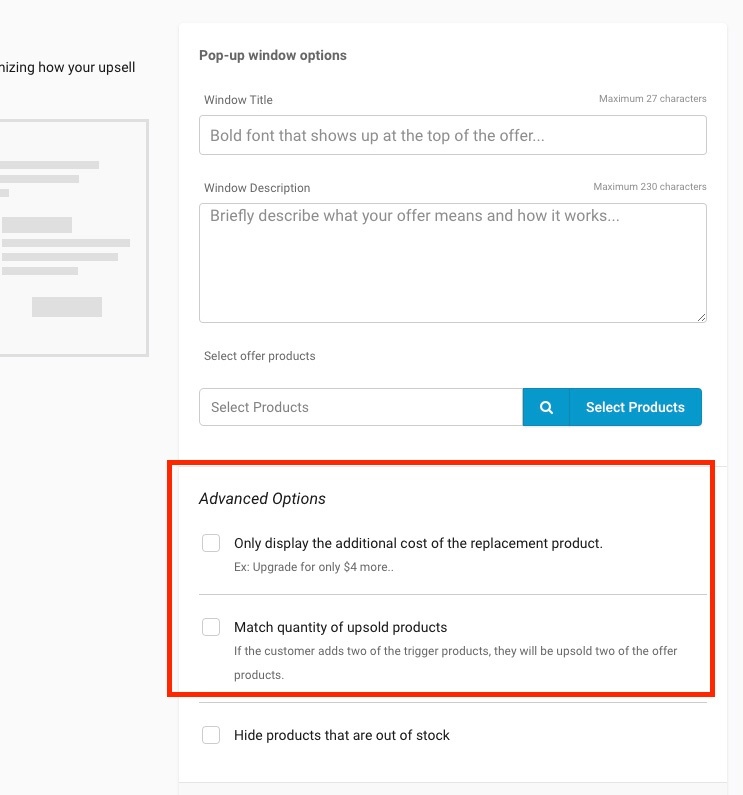 So, for example, you can set up a scenario when the customer adds a product to the cart, you offer them an upsell to upgrade it, and then when they're in the cart and click checkout, you offer them a cross-sell offer to add on a complementary product. 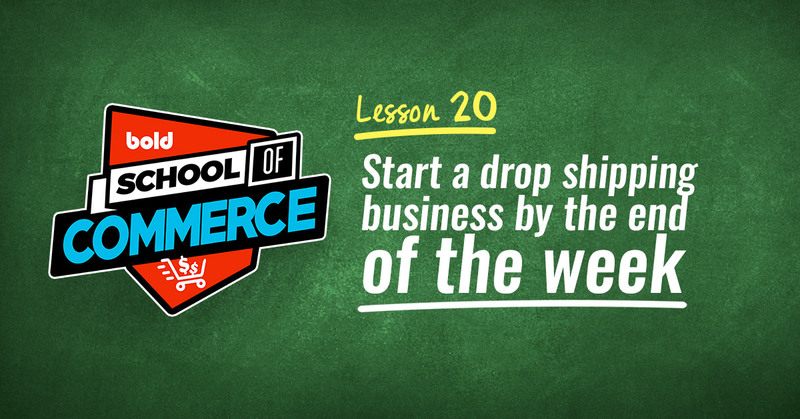 Not upselling and cross-selling on your Shopify store? 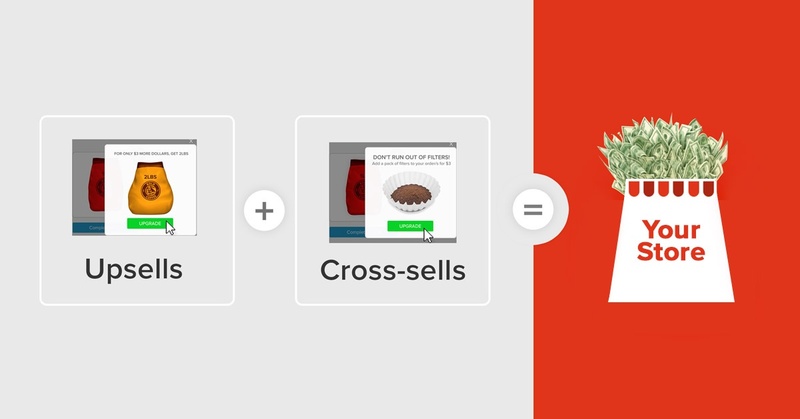 Creating an Upsell offer is very similar to Cross-sells, with just a few small differences. If you have the Product Upsell app, the feature is live for everyone today. 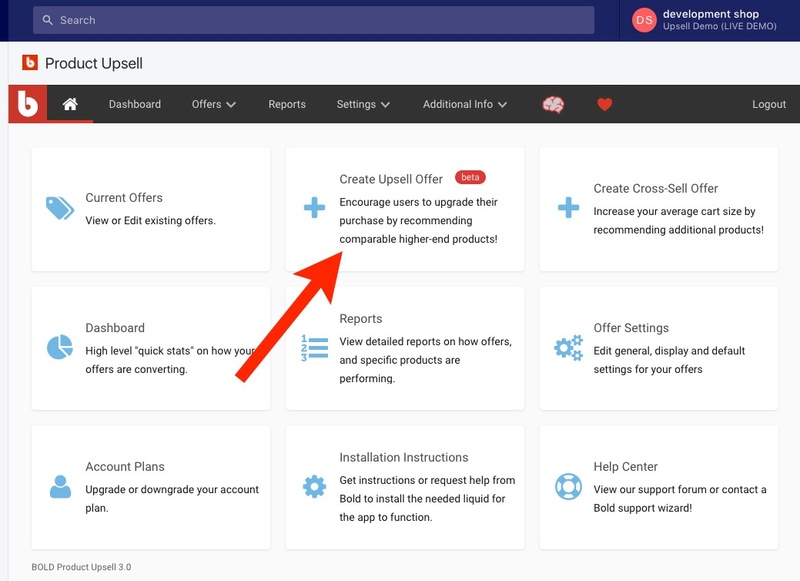 From your main dashboard click "Create Upsell Offer". For existing app users, note that what you previously referred to as Upsells are now "Cross-sells". The first difference you'll notice is the trigger can only be products. There's a logical reason for this as an Upsell is a product upgrade, so the thing triggering the offer needs to be a specific product. The popup offer will only appear on the "Add to Cart" buttons as well. The only two other differences are the options to show only the cost to upgrade, or the total cost of the item, and if you want to match quantities. 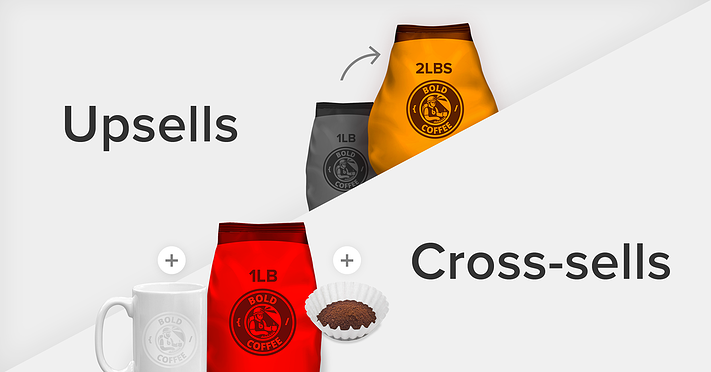 For example, if your customer is buying four 1lb bags of coffee, and the offer is to upgrade to the 2lb bag, do you want it to automatically replace all 4 bags, or just one? And that's it! 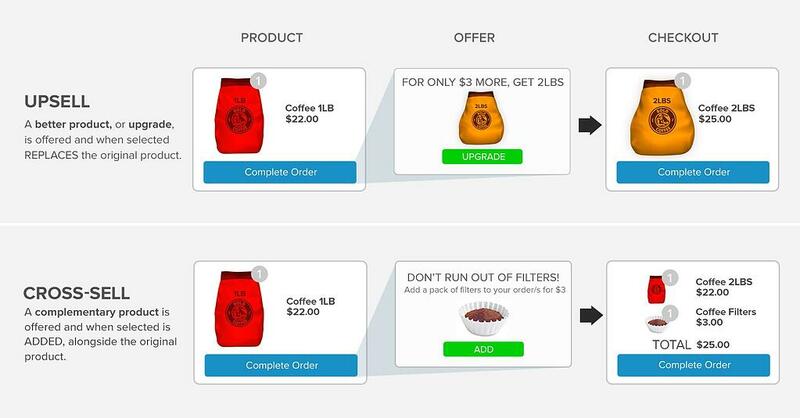 It's that easy to create True Upsell offers on Shopify, with the Bold Product Upsell app. Try Product Upsell for FREE!